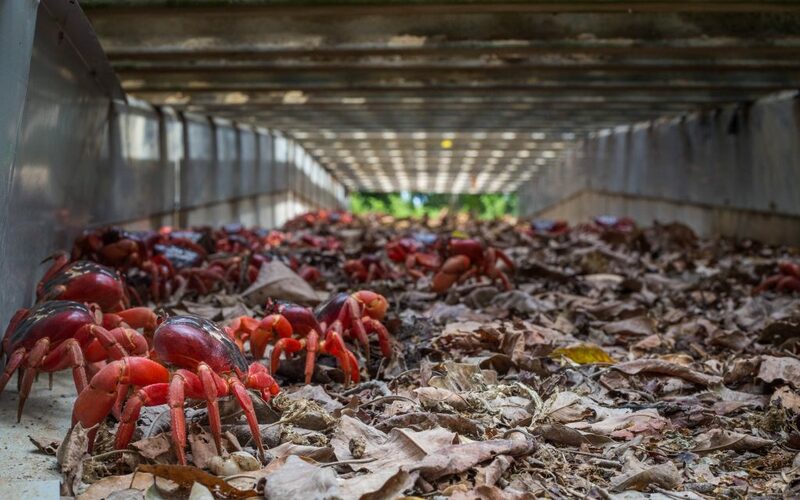 Millions of ruby-red crabs have been filmed taking their annual march from their forest floor homes to the ocean to breed on Christmas Island – via specifically-designed ‘crab bridges’. 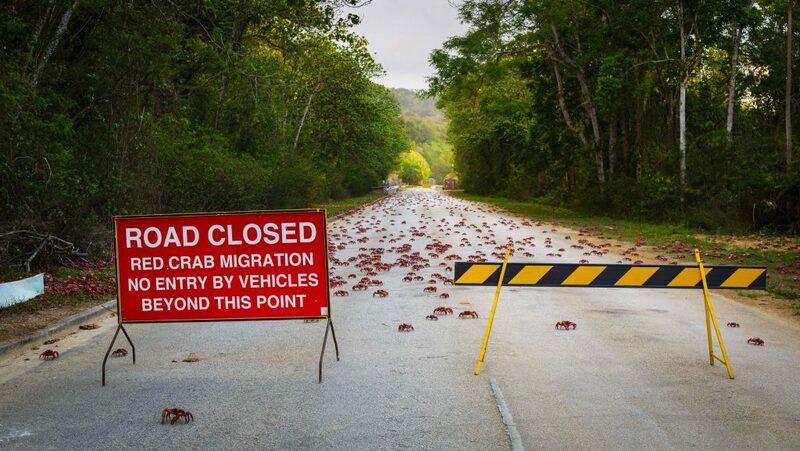 The writhing scarlet mass have abandoned their burrows and embarked on the arduous trek to the Pacific Ocean in the world’s biggest annual land crab migration. 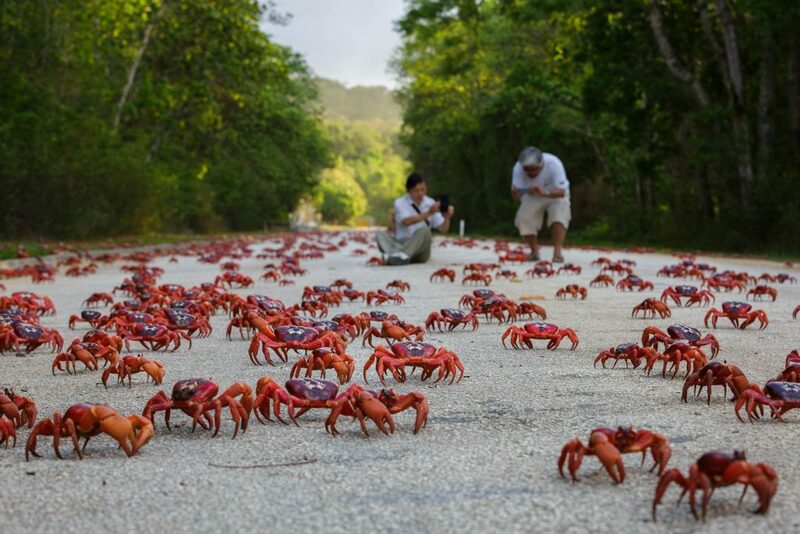 Photographer Kirsty Faulkner, 40, captured the stunning sight as the crustaceans navigated rocky terrain, busy roads and specially built crab bridges and tunnels – designed to reduce casualties – this weekend. 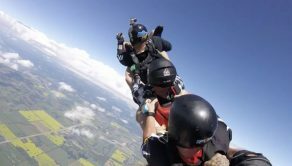 Mum-of-three Kirsty, who arrived on the island 10 years ago, said: “It’s just incredible, everybody that you see, whether they have grown up on the island or people like me who moved here more recently, think it’s amazing. 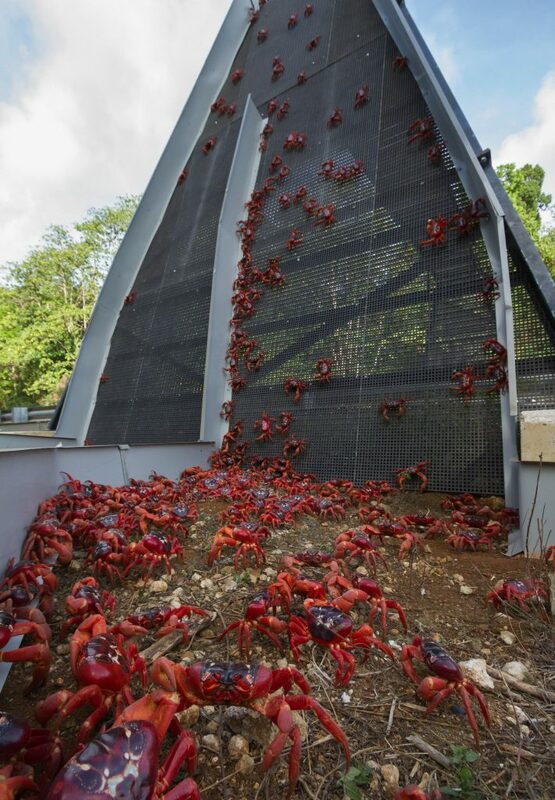 Kirsty said the 45million crabs are half-way down the island scuttling down roads which are blocked off specially and using bridges and tunnels to either scamper over or under roads. 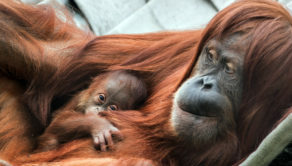 Kirsty said: “When they migrate we’re very conscious about where we walk and drive. 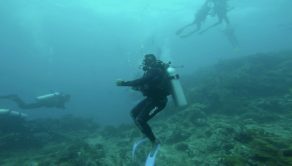 “We have road closures which depend on where the crabs are. 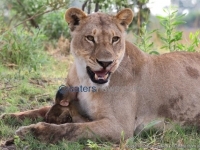 “The National Parks team put up barriers along a lot of the roads on the island to keep them safe. “My children, aged 11-15, use a garden rake to gently move the crabs out of the way on the road to make sure they don’t get run over.